Nu Tung Chai Waterfall is the best-known and biggest waterfall in Hong Kong. Located at the northern side of Tai Mo Shan, it is also one of the most popular retreats from the hustle and bustle of the city in summer. Clear signposts will guide tourists to reach the series of streams and waterfalls. Nu Tung Chai Waterfall consists of 4 waterfalls at different altitudes. From bottom to top, you will see Bottom Fall (Fall under the well), Middle Fall (Horse Tail Fall), Main Fall (Long Fall) and Scatter Fall. 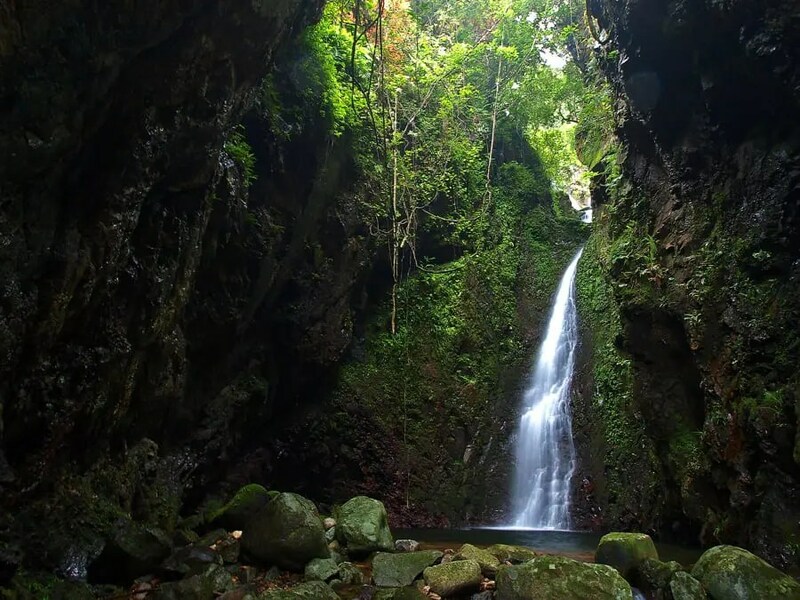 The steady flow of water of Nu Tung Chai Waterfall comes from Tai Mo Shan and irrigates the farmlands around Lam Tsuen River, and ends at Tolo Harbour. We are a group of 4 ladies (from Singapore) and we are keen to explore Tai Mo Shan and Ng Tung Chai in the first week of January. Would you know of any good and experienced local guide who can take us on a hiking tour to these places? We’ve been on some hikes before (Kathmandu, Mt Fuji and recently Yushan Front Peak in Taiwan), so we are relatively fit. Hope you can give us some advice. Thank you for your prompt reply and link you provided. Will certainly check out the route. Going back to the entry point for exit is most hikers’ choice. But you can also keep climbing up and over the hill and exit at the other end. Hello, is it safe to hike if it’s raining or raining a day before? Yes. There are stairs where you can walk safely and admire the waterfall from the distance.